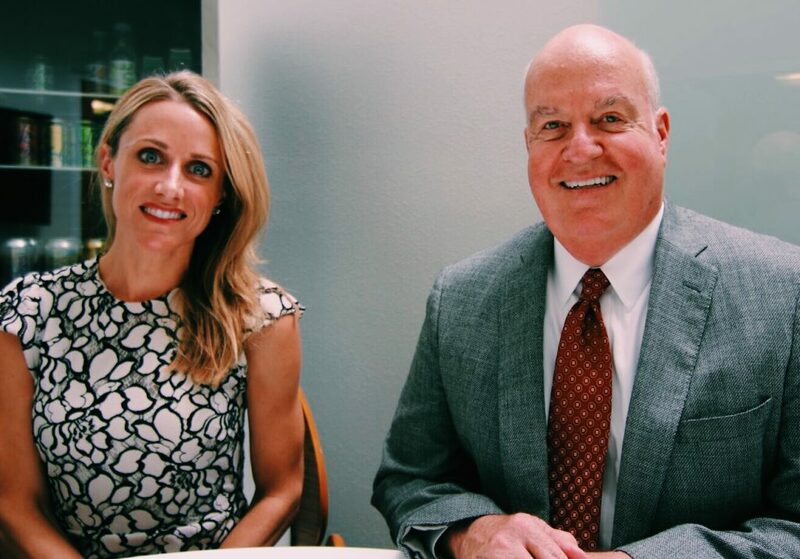 On this episode of SPx, host Ashley Ryneska sits down with third generation Floridian and Florida Market President of Republic Bank, David Feaster. A highly involved member of St. Pete's community, Feaster was Chair of All Children's hospital, and helped to bring the Rays to St. Pete through the Chamber. 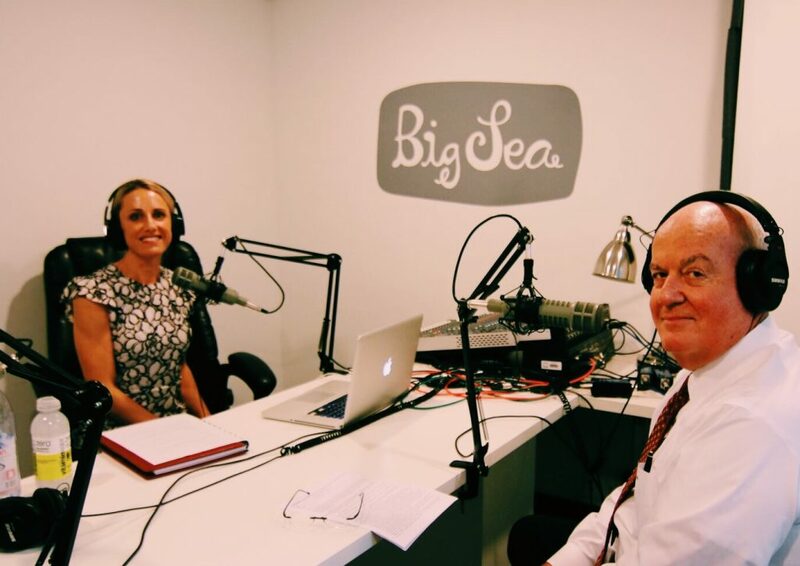 In his many ventures in banking, from giants like Bank of America, to small community banks like the one he started, Signature Bank, Feaster has seen the financial sector and banking itself change drastically in his lifetime. He shares the good and bad of automation and innovation, surviving recessions and acquisitions, and his advice to St. Pete's up-and-comers. Feaster has worked his way through the entire banking world. He was "hired as a trainee and I literally filed checks, worked with the proof machine, was a teller, went to the customer service desk...I just got a good overview of banking, and then worked my way up from there." Feaster started his career when the industry was less specialized, or "siloed," as such, he has been able to get a fuller picture of the banking process, and how every department connects to every other. There is a place for both large and small banks in our economy, says Feaster. Small banks work well for small businesses, or interactions in which the customer wants to work with the decision maker directly. Larger banks are necessary for large companies who need more capital. First hand experience is in no short supply for Feaster. He has worked in every kind of bank. He was CEO of two community banks and started one - but he has also worked for banking giant, Bank of America. Florida is the third biggest state in the Union, and many of the small community banks it once had have been bought up by larger banks - because it is a state that is "very deposit-rich." No major banks are based in Florida. Feaster says this is because of legislation passed in the '60s, disallowing branching of banks, which was meant to protect smaller banks. Alabama and North Carolina did not pass these regulations, and they are home to some of the largest banks. Feaster overseen the acquisition of two smaller banks by larger banks. He speaks to the pains of acquisition, as well as the balance of surviving the Great Recession by learning to shrink. As CEO, it was Feaster's role in these acquisitions to oversee "change management." When asked about the reverberations of the Trump administration's changes to the banking industry, Feaster mentioned one major regulation - the Dodd-Frank act. According to Feaster, this act has had a number of unintended consequences - including keeping banks from reaching the limits of "too big to fail," and forcing large US companies to go overseas to for capital. Feaster's advice to up-and-comers? Get involved in the community - in something you're passionate about. Feaster himself was part of the effort to get Major League Baseball to St. Pete - in an effort to build our downtown and remove the tax burden from home-owners. He says that effort was a success - and you can see it every day in the new businesses opening and the hustle and bustle that is our downtown. "Follow your heart. What are you passionate about? Be it pets, be it cancer, be it growing the city of St. Petersburg, growing Tampa Bay, creating commerce, helping small businesses? There’s some way to do it, research that and get involved with it." "I remember when we had the Final Four and there was a traffic jam, and I was in a Chamber meeting. And they went, ‘I got some good news and bad news. Bad news is we’re gonna have a traffic jam in downtown St. Pete. Good news is we’re gonna have a traffic jam in downtown St. Pete, isn’t that wonderful!?'" David: If I had a gift, it’s recruiting. And I’ve always, looking at resumes, made an effort to get their name right. David: And I’ve worked at that. David: So I love ethnicities also as well. Ashley: Yes. Well, as mentioned, my grandfather came from Ellis island and he had a longer name than Ryneska, and I think that it was countless syllables longer. There was no way he was getting in without that name being truncated, but Polish—if there’s a Polish origin to that… What about Feaster? David: Feaster is Swiss-German. Our ethnicity is pretty much American from that standpoint. I’m third generation in Florida. My dad was born in St. Pete, my grandfather in Micanopy. So we’re an old Florida family. 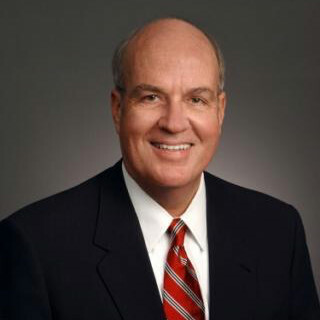 Ashley: You have the good fortune of Feaster joining us today, the Florida market president for Republic Bank. Thank you so much for joining us on SPx. David: Ashley, I’m flattered to have been asked to come, so thank you for having me. Ashley: Well, your reputation precedes you, in a sense that you are really revered as being, and you have been, highly involved in our community. Not just in the work that you do, but civically and in the non-profit space. You are a life-long resident of St. Pete, I understand, and I’m also curious meeting natives of this city. A large percentage of those that we interview are witnessing a revolution, and arguably a renaissance. Take me back to the beginning, as early as you wanna go. David: I was born at a very early age, how about that? (laughs) As I was telling you, third generation. My father was the first caesarian section at the Mallenpark Hospital, and my dad was a doctor in town. And I grew up here, local public schools. Loved the town. Something that makes you love a town more is leaving it for a short while. And I’ve worked in other cities briefly, and it made me appreciate our community even more. Ashley: Where did you go? David: I worked in Miami for a while and learned true multiculturalism, a whole another interview could be interviewing people on Brickell Avenue in Miami, what you see coming through there is fascinating. Eye opening for a small-town boy from St. Petersburg. It really gave me a perspective, a true international perspective. Obviously, Latin, but from all over the world passing through there. And I like to think it helped me as I progressed here. I’ve worked all over Tampa Bay, worked for three years in downtown Tampa. I’ve run this region, but have been based in St. Petersburg. And I just love our town, and love all of Tampa Bay, for that matter. Ashley: How did you get into the financial sector? David: Coming out of college, got the classic Management Training program. David: Wasn’t necessarily looking at banking, had an opportunity, someone– I was their very first management trainee in the bank. So a good guy, Norris Counts, who is from St. Petersburg, hired me as a trainee and I literally filed checks, worked with the proof machine, was a teller, went to the customer service desk, which another word for that is the complaint desk. You can learn a lot working at the complaint desk. I just got a good overview of banking, and then worked my way up from there. Ashley: You talk about being the first management trainee, and I’m wondering how the values up-and-comer have shifted over time. My assumption could be that now, more than ever, specialization in banking in terms of individuals having a concrete acumen around wealth management, through the 401(k)s, or specific derivatives of the financial sector, and maybe even more of an advisory function for someone who is coming up through the industry. Have you witnessed the acumen values shifting, and how have you maintained relevance in that? David: I had a program where everything wasn’t siloed. I was more holistic, truly when a check comes into a bank, how does it eventually get back to you? Those kind of things. I know that sounds mundane, but not siloed, not specialized. As I progressed in the industry, truly understating how the whole process works, how a bank works, really helped me, particularly in conflict management, understanding how certain divisions and departments cannot get along at times and understanding how the workflow and all that… So that was very valuable to me. But banking today is dramatically different. We used to literally look at every check over $1,000, hand-look at it. Now no cheques are looked at, none of that happens anymore. Obviously automated, and automated for the better. The industry is more profitable due to automation, the industry is better, the products and services are better. It’s a very different industry, but you have to have that hands-on a little bit while also automating. My kids have no desire to go into a bank, they had none. I wonder the last time you walked into a bank. It’s all online and it’s very easily done. You’re depositing a check through your cell phone and you can get every bit of information you want, you can move money, etcetera, digitally. So the industry is progressing and there’s more to come, so I’m excited about that candidly. Ashley: Tell me how the small banks are making money today. David: There’s many categories. We work on a basic margin, and that margin is — what I’m paying you for your money, I say, that’s my inventory, and then what I’m lending it for. So banks have worked historically on a 4% margin, so what we’re paying for funds and then what we lend them for. That’s the traditional old-fashion bank. Now you have various forms of other fee income, various products and services that we get fee for, we also have transactions via debit cards, credit cards, all of those per-click a bank gets a fee income for. So those type of things are dramatically different. Then, the more sophisticated treasury management. Treasury management is taking care of corporations’ money, wires and movement of money and consolidating of funds. And there’s something called remote deposit capture. We can have big companies, they have a little machine on their desk, they run the check through and it’s read and then it’s in your account, (snaps) like that. So that type of technology, we get a fee for that. But the convenience created for folks, particularly companies that have large cheques, it’s immediately in their account. So you’ve got that fee-based and traditional net interest margin. Ashley: There are some smaller banks that have their annual revenues a couple of thousand dollars a year, but then you’ve got institutions like your own that have millions, hundreds of millions in assets. So where are we getting it right and where are our challenges? David: Comparing you to CBS, or ESPN, some of the small banks compare to Bank of America. There’s a place for both of them, and I truly believe there’s a place for both out there. Ashley: I was expecting flattery to come out of that comparison. David: And yours is much better than ESPN and whatever. I have been CEO of two community banks, started one, and there’s a place for it in the market. Particularly people wanna come in and, ‘I wanna see the person in charge.’ That is very important for certain people. They wanna look at the decision maker, and that was one of my slogans at my first bank that I started, Signature Bank. Our credo was ‘Deal with the decision maker’. Particularly the small business person wants to deal with that. ‘I wanna know who is in charge, I don’t wanna be a number.’ That is the benefit of a small bank, much like small hardware stores, like a small whatever kind of business. But we’re limited, being a small bank. Sometimes they would need more than we’re allowed to lend. Sometimes they needed products we didn’t have, they wanted a location in Atlanta and Kansas City. We can’t do that. So you understood your market very well, and you had to have real targeted marketing, because who was our market for a community bank? However, that community bank feel is one of the reasons I think I’m sitting here, because it made me get involved in the community. It made me really be involved in the community doing that. I’m veering here. But community banks are necessary. I worked for Bank of America for a while, I’ve worked at a bank with no assets, so as large a dichotomy as that is—and there’s a place for both of them. And community banks are being bought up—I have sold two—they’re being bought up because they’re valuable to out-of-state banks to get into the Florida market. Florida is third biggest state in the union, third or fourth biggest state in the union, 20 something million people, very deposit-rich. Therefore, out-of-state banks come then and bought up the smaller banks. There’s not many of them left in this community. Do you start a new one today? In the old days you sold your bank and started a new one. Today with the regulation environment it’s not as easy and it’s not as lucrative as it used to be. The old days you get that community back charter, keep it for ten years and you’d have some very happy shareholders. But there’s a place for the community bank and clearly the need for large banks. In the state of Florida, and somebody who’s listening this will verify, two banks I think are 50% of all deposits in this state, I think it’s Bank of America and Wells Fargo, two banks own half. So that’s our market share, so that’s a pretty specific concentration, and that’s where it’s going. And what is really going away is the midsize. So you’ve got the very big and the very small. The middle is what is disappearing. And historically, and I’ll get off this, third biggest state in the union, no major banks based in the state of Florida. That’s tragic. Ashley: Why do you think that is? David: Interesting, give you a history lesson. The legislature in the ‘60s said we’re not gonna allow branching, we’re gonna protect everybody, so you can’t branch. So you had a bunch of little small banks, or it had to be if you had what was called a holding company, and they’d go to the next city and open another bank, and open another bank. So it was to protect theoretically the bankers. Texas did this. You know who didn’t do this? Alabama and North Carolina. So I’m gonna ask you a question. Where are the big banks located now? Birmingham, the old AmSouth and SouthTrust and all these banks in Birmingham, Alabama. North Carolina, the old First Union, Nations Bank etcetera are based there. They did not have branch banking laws. And to think that the state of Florida, or even that Georgia didn’t have it. So where will the banking centers be? Atlanta, Miami, New Orleans, Dallas, Houston? They aren’t. Because of that unique law. And so they flourished in some other states, which you wouldn’t think 25 years ago Alabama and North Carolina would be banking centers. Ashley: Interesting. So you were talking about acquisition and for smaller banks you were part of two. One of the most recent ones was last year, 2016, acquired by Republic Bank. You were obviously at the top leadership position at the time. Just for those that watched these stories unfold in a quest, what was that experience like? David: The person that had founded the bank tragically died, Skip Carter, died of a heart attack. So the board brought me in to replace him and then the great recession hit. I came in January ’09 and the board wasn’t completely aware of the issues they had, so we had to battle through that. And I’ll tell you something that was unique about that. To survive we had to shrink. To strategically shrink something is a unique business model. And the reason is banks have to have so much capital for a certain size bank. And it’s good, you have the building blocks. You can’t grow dramatically like a .com or something like that in banking, and that’s the right way to be. You have to have this capital base. Well, our capital was being eroded with problem loans. So either you had to go raise more capital, or shrink. And we shrank. I shrank the bank over 100 million dollars. That’s hard to do, to watch your company shrink, to turn down business in a way. So after we got it turned around, the shareholders were ready, so we found some real good partners, several people who were interested in Republic Banks, a wonderful partner, to buy us. Hard part about a merger- certain people lose their jobs. And that’s the part that gets to you. You have to have the economies of scale. In every merger like that you try to create the economies of not duplicating back room and things like that. So that’s the hard part of it. Secondly, don’t know if you’ve read the book ‘Who moved my cheese?’, but basically you did it a certain way, they do it another way. There’s a personality, probably like you, Ashley, that can handle that change. Certain folks are not good at handling that kind of change. Ashley: I’m in fetal pose right now, I don’t like the idea that… I don’t know if I like change very much. David: That’s what fell on my shoulders being the CEO, handling change management. Helping people cope with that, preparing expectations. Classic management needed for that and helping folks with change, but certain folks, you could tell early on for those of you watching, they had their arms folded in meetings, it wasn’t gonna happen. They just weren’t gonna be able to do it. Ashley: And how many employees did you have going into that acquisition, or merger? David: We had about 60 and lost about a third of them, probably a little more than that. Probably 20, 25%. And that hurt. You have to reach those economies to justify the price you get. But it’s a very difficult situation, even different styles, different policies. And as I said, some people can handle that, and some people cannot. Ashley: So you talk about making your businesses essentially derived from margins after the great recession, when the regulatory environment shifted and maybe even really tightened its grip around your business and interest rates plummeted. How did you navigate your organization through that? David: The unique issues, I said work on a 4% margin, so as rates change we just keep moving. You had a prime that was so low that we couldn’t basically get more than the 3% margin. So it was very difficult during that time. Basically you gain nothing for deposits. For a tenth of a percent on deposits you had to have extreme expense control. And the biggest issue during the great recession was loan losses. Your capital was wiped out in those situations. Something that occurred if I appraised my collateral and the collateral was worthless, I had to write the loan down that much and it came to immediately have a collateral. It’s kind of an accounting lesson there. And that wiped out small banks collateral. In the current situation and during the great recession the margins got pressed, you had to control expenses and work at capital. A lot of banks had to go out and raise capital at 10 cents on the dollar, if they could get that. Many went under. Many banks went under, several in our community. So it was tragic for a lot of the community banks that didn’t have that margin where they could recover. And nobody wanted to go invest in a bank. Smart people did and scooped them up in very low prices. And a lot of smart people made fortunes during the great recession buying real estate, particularly bank, properties, OREO– Other Real Estate Owned, is what OREO means, if you ever hear that term. And that’s the thing, we’ve taken back a piece of real estate and bank foreclosures. And people were calling constantly, ‘I wanna buy your foreclosures.’ And there were fortunes made from that, and they’re good business people for having done it. But in today’s environment it’s still thin margins, it’s still a relatively low prime. But with fee income and things like that the banking industry is very profitable, now earnings are up. Every bank in Tampa Bay has a four or five-star rating, and so it’s all going well for the industry. Ashley: We’re talking the national crisis and understanding the rippling effect, and how it dribbles down to the local level. When you think about Trump now in office, and Republican controlled Congress? Are there any reverberations here locally when all the local leadership changes? David: Absolutely. My industry, the current administration had said they were gonna roll back some regulation. After the great recession there was an Act called The Dodd-Frank Act, which put tremendous regulation on banks. I happened to go to Washington and lobby when it was being written, and met with Bernanke who was head of the Federal Reserve. And we were going, ‘We don’t need these regulations, you don’t need to do this.’ And I’m in the Fed board room with the Chair of Federal Reserve. He then took off his glasses, ‘Ladies and gentlemen, you didn’t expect us to do nothing after the great recession. The system almost burned down. So we had to do something.’ The result of that is the Dodd-Frank Act, which is a tremendous amount of regulation. Smaller banks literally are having trouble complying. The rules are so complicated. Somebody that isn’t involved with it can’t relate to that. I know I could tell you three banks on fourth street that stopped doing residential lending, stopped offering the product. We couldn’t fill out the forms, we couldn’t comply. The amount of compliance involved with the residential department, I won’t name the banks, but three banks on just fourth street closed residential lending. Unintended consequences, but the regulation was dramatic. This administration has said they were going to roll some of that back as stocks went up. There’s regulations with regard to size, and I know this is boring to everybody listening, but there’s certain capital requirements. The ‘too big to fail’, you’ve probably heard that term, so banks over 50 billion. So a lot of banks don’t wanna get over 50 billion, because of the unique analysis needed, capital requirements, etcetera. So banks are staying small. Unintended consequences. As we lobby we’re telling the legislators, ‘I know that sounds good, but do you want the bigger companies in America have to go overseas to borrow money because the bigger banks they’re gonna be overseas than in the United States?’ Unintended consequences. Losing residential lending. I don’t know the last time you applied for a residential loan. It’s quite a process, quite a process, it’s very laborious. When people come in and apply for a residential loan with me, particularly my friends, I go, ‘Just be prepared. It’s going to be more paperwork than you can conceive of.’ They go, ‘Come on David, it can’t be that bad.’ And then couple of weeks later they’re going, ‘You told me, it’s overwhelming.’ And some of it is needed, but the system almost melting down, according to Bernanke. So with this administration, to answer your question again, those type of things, tax reform, could be dramatic as to the profitability of companies, what are their growth needs, what’s the capital needs. And banks provide capital for companies. So the industry stocks went up immediately upon his election. Ashley: Where do you stand in terms of the legacy structure of a bank, and maybe the pressure and the incoming nature of rapid technology and automation, and artificial intelligence? How are you negotiating those two worlds together? Ashley: David, are you still popular with this group? David: No, they were the most depressed guys after we started ta;king about it. But I started with me, and you might not need me. And then I went to a realtor. I have a residential and commercial realtor, I have two 30-year old’s and they’ll go into Zillow, and then if they can contact the person, and on the Zillow site, or whatever real estate site they can get the insurance, click on a button, get the insurance there, and then buy the house. And various things… and financing. You could finance it on one site, get the insurance, finance and then buy it. Why am I going to need a realtor down the road? And then I talked to the attorney, and then there was a financial advisor. And gosh, I’m probably offending everybody listening to this. But you asked about technology, you’d better be prepared for it. Financial advisors. There’s some folks that are going ‘Well, you know what? I’m gonna go online and do it myself,’ the 30-year old’s. Now I’ll tell you, my industry, my kids don’t wanna walk in a bank. They just don’t, it’s a nuisance to them. If they didn’t have to walk into a bank… We have a guy at our headquarters in Louisville. The issue he was talking about was TV, we’re looking at doing some TV ads, he goes ‘I want to do some cable advertising.’ And he goes, ‘I don’t have cable. I don’t even have it.’ I said, ‘If you didn’t work in a bank, you wouldn’t walk in a bank either.’ He goes, ‘You’re right, I wouldn’t.’ So you’d better embrace it. And something I told my staff relative to this, I said—and I’d better be careful—I don’t wanna be a Blockbuster video. I don’t wanna be a Radio Shack. I don’t wanna be Circuit City. All out of business. Because they didn’t stay up. The technology changed. I’m glad I’m not competing with Amazon right now. There’s a lot of people sitting in board rooms, ‘Now, how are we gonna handle Amazon?’ Some are embracing it, some are just folding. And so you’d better be ready for it. You mentioned the artificial intelligence setup. My daughter works with AT&T and she is in the Internet of Things (IoT) division. Ashley: I didn’t know that was her thing. David: Yes. She’s in the Internet of Things division, and I will get more specific. Internet of Things division, Fleet division. And so the Internet of Things for your Fleet of trucks or cars or alike. And they have a whole category of products for that. So if I’m answering your question right, you’d better embrace it, or you’re gonna be Blockbuster video or something like that. David: I tell folks I believe in involvement. But I also believe– follow your passion. Don’t just join something to join it. Maybe early on, because you don’t know what you are passionate about. But there’s so many boards, so many needs in the community, if you’re passionate—I was chair of All Children’s Hospital, you show me a little sick baby, I melt. I was passionate about it. Plus, my dad and both my brothers were physicians. I was passionate about the healthcare industry. Follow your heart, what are you passionate about? Be it pets, be it cancer, be it growing the city of St. Petersburg, growing Tampa Bay, creating commerce, helping small businesses? There’s some way to do it, research that and get involved with it. I’m one of those that… very family oriented, if my kids were in it I was gonna be involved with. I coached boys’ baseball, I coached little league, I coached basketball, girls’ softball, girls’ volleyball, girls’ basketball. And I’m gonna answer a question. I’d much rather coach girls than boys. David: Girls will listen to you. David: Girls will listen to you. Obviously, there’s some other dynamics. ‘Guys, let’s sit down, guys, Sam, guys,’ and you got to, ‘Guys, just be quiet and sit down.’ ‘Girls, sit over here.’ They’re sitting. And they’re coachable. I enjoy coaching girls because they’re coachable. They’d listen to you and go do it. I enjoyed that. There’s some other dynamics with girls, but terribly exciting. I enjoyed coaching both, so what am I passionate about? What my kids are involved with. Growing up I was involved with little league… And my wife. Their classrooms, their schools, we’re involved with all their school activities, and their hobbies we got involved. They were passionate about something? Then we’d go try it and do it together as a family. So as I progressed in age, I don’t really have a whole lot of hobbies, because my family has been my hobby. Civic work has been my hobby, I’m good. Ashley: In what areas of the civic ecosystem right now? David: Well, I have as things have progressed cut back on what I’m doing. I’m still involved with the Chamber and promoting St. Petersburg. Our city has blossomed, doesn’t need as much help as it did when I first started doing it. 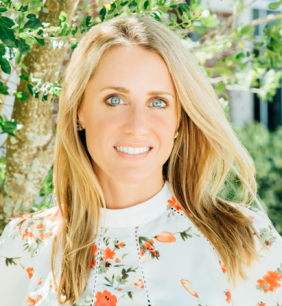 Ashley: One of the things that we like to do is to highlight a small business or an entity or an organization in the community that maybe doesn’t have a lot of eyeballs on them. They don’t necessarily need to be a non-profit, but we’ve had a lot of guests speak to nonprofits that deserve some attention. It could be a little league, a little leaguer, the women’s means little league. David: I didn’t candidly know your mission here. I am just very enthused that somebody is doing what you guys are doing. It’s why I got involved civically. The issue at the time when I got involved was trying to get baseball, but why did we want that? We had a circumstance where we had a very underperforming downtown, and the entire tax base of this community was basically houses, so property taxes. And we wanted a thriving downtown when I was a young buck starting in the Chamber and my little Chamber committees and all of that stuff. And I saw baseball as a means to promote our downtown and take the taxes off my house and put it on big buildings downtown. That was my motive. Baseball was somewhat the means to do it, but it could’ve been other things. At that time, cities like Tampa Bay were looking for sports franchises. The San Antonios, the Charlottes, those cities were trying to get Big League, basketball and football obviously, and other sports. Orlando, getting the Magic. That’s how you became Big League. Let’s become Big League, let’s go do that. With that theoretically you’d build it and they will come. And I’ll answer that, they have come. We are last in the League in attendance, but that’s not the issue. Go look at our downtown. Did it work? You’re darn right it worked. We’ve got as good a downtown as there is in the United States of America. It worked. What do you need for a progressive and good downtown? People gotta live there. Cities that have wonderful big buildings but are dead at five o’clock isn’t what we wanted. We have people living downtown, in our downtown. With that, that means the restaurants, the shopping, two Publix in downtown. I remember when Judy Genshaft once spoke, this is about a decade or so, she says, ‘USF St. Pete’s made it, we have a Starbucks.’ We have a Starbucks! And that was cute. And so I’m telling you we’ve got two Publix, I think we’ve made it. I remember when we had the Final Four and there was another event there was a traffic jam, and I was in a Chamber meeting. And they went, ‘I got some good news and bad news. Bad news is we’re gonna have a traffic jam in downtown St. Pete. Good news is we’re gonna have a traffic jam in downtown St. Pete, isn’t that wonderful? There will be so many people here.’ And so the downtown has been transformed. And so this was civic involvement and the like, baseball helped do that. And we could all sit in a room and much all the time just talk about it… the Vinoy was critical. Had to have the Vinoy. I’m not sure you’d get the Vinoy without the possibility of baseball. But the Vinoy was finally a new big structure happening. And then what occurred? There’s something just called confidence. And you’ve got money, where are you gonna put it, actually? Where are you gonna put that money? And when something is on winning streak you’re gonna start putting money there. Then you start having shops. Then you’re having some condos, then you have Baywalk, and then you have some things like that. And one of the benefits that our town had, Baywalk was local, those were local investors. Craig Sher and the Sembler Companies, I’ll give them credit for that. ‘The city did an RFP’, and I’m quoting Craig now. ‘City did an RFP. How many people bid? One.’ But when you are doing something in your town, they knew their friends were gonna look at it and talk to them. They were vested. The early developers on Beach Drive? All local people. There are Mike Chilson who had settled it, and others. They were vested. And Mike Chilson puts art in front of it, because he had art—condos, do you know that cost? A lot of money. You’re not making any money on that. He’s from St. Petersburg and he wanted it to be nice. And then other things like that, some of the restaurants and the like. It’s not franchises, these are local. And so we had the benefit of local people doing it, and so then it flourished. And now the tax base has changed from millage on your house, and Rick and David Fisher could give you all the numbers, I don’t know all the numbers, of how the millage was flat or even down for a while. Unheard of! Lower taxes? Unheard of! But that was the model, that’s what got me involved, that became my passion, improving our community. That’s what you guys are doing. I didn’t actually know your whole mission, but this is wonderful. Ashley: Well obviously, good to tell you. You’ve mentioned Craig Sher with Sembler, he’s gonna be one of our next guests. So, you essentially did two shout-outs in one. One for the St. Petersburg Group and one for the Sembler Company. David Feaster, thank you so much for being with us today. David: I am flattered to be here, thank you.